Imagine mixing the perfect music cocktail. A shot of soul, a splash of jazz, a healthy measure of blues, a twist of alternate country, topped up with a dose of rock energy and served with a ton of passion. Take a sip and you get the feel for Jenny Marie Lang and her band’s magical fusion of crossover blues and jazz tinged rock. Jenny’s soulful voice soars from rich velvet to powerful gritty heights evoking the honest rawness of India Arie, the warm intricacy of Diana Krall, the soulful outpouring of Aretha Franklin or Eva Cassidy. 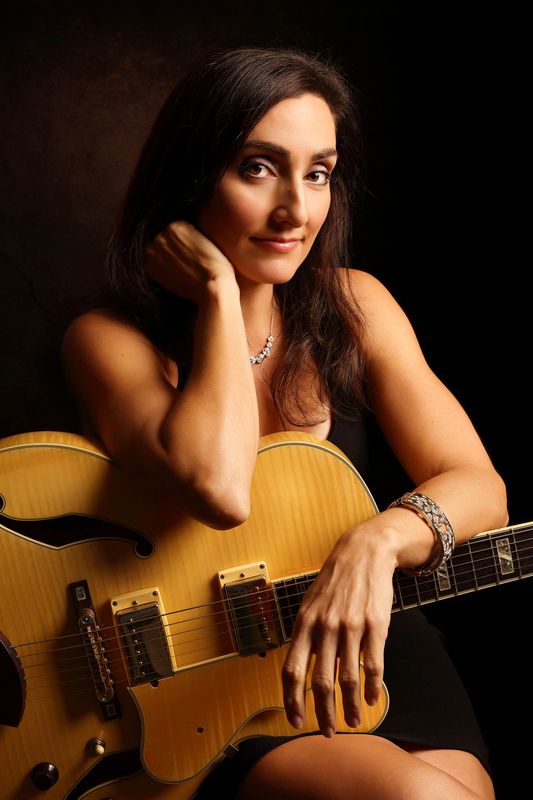 Her guitar fluency and multi-instrumental talents should also see her listed up there with the greats she draws her influences from – Bonnie Raitt, Richard Thompson, Ry Cooder. Jenny has a natural feel for shaping the strings on anything from soaring Bayou drenched lap steel to a big noted country soul semi-acoustic guitar. Whether fingerpicking a banjo, strumming a mandolin, or shredding a stomping blues rock ‘strat’ the chords flow from fingers that were born to play. She won a talent competition just three weeks after picking up her first guitar aged eleven, and has all the singer songwriter traits – raw talent, style and heart – to have already put the world at her feet. Well, that would be in a parallel universe where she hadn’t worked so hard helping other people stay famous. A universe where Jenny quickly followed up her excellent but raw debut album ‘Not This Time’ with another more commercially focused record. A world where there would be no need to write or read this bio. She would simply be ‘Jenny Marie Lang that bloody brilliant roots rocker from Sydney who conquered the world’. But it didn’t quite work out like that – for all the best reasons. As Jenny’s musical ambitions got sidetracked by Jenny’s musical ambitions. The girl loves playing live and once she got a taste she couldn’t stop. She toured and toured, supporting Diesel, Wendy Mathews, Richard Clapton, Bill Chambers, Kevin Welch and Eric Bibb. She caught the ear of Cold Chisel’s Steve Prestwich and ended up as a regular in his band. Performing at Byron Bay Bluesfest and sharing stages with Eugene Hideaway Bridges, Jim Conway and Steve Seskin – who has co-written a song for her forthcoming album. She’s done Tamworth and paid her country dues working with Beccy Cole & Felicity Urquhart supporting Kenny Rogers. All the time clocking up the k’s on the freeways and gravel roads of Australia and California, in between sharing her talents nurturing a crop of young Aussie musicians. Encouraging them write and create their own material. Jenny says: ‘it’s like I was so busy I forgot to make another record’. The good news is that record is on its way. With a heap of new songs Jenny is on track to release her second record working with her own band. And we get to witness it in making as she refines her material doing what she loves best – performing. As she says only half joking ‘ My career’s already travelled a million miles so I reckon I am almost halfway. I love the road, connecting with my band and the audience, it’s what it’s all about. The live shows come first, for me anyway’.